Kerstin Uvnäs Moberg is a specialist in women’s health and female physiology and has worked within these fields for more than 30 years. She is a pioneer in research about oxytocin ”the hormone of love and wellbeing” and was one of first researchers to point out the behavioural, psychological and physiological effects of oxytocin during birth, breastfeeding and menopause. Kerstin Uvnäs Moberg is a physician and professor of physiology with a research focus on the healing aspects of oxytocin. Her vision is to help creating healthier and happier women by expanding the knowledge about female physiology and by creating medical interventions based on oxytocin. The wish to understand the biology of women emerged, when she had children herself. At that time, she left a promising research career within the field of gastrointestinal physiology in order to study the positive and health promoting effects of oxytocin. Kerstin Uvnäs Moberg found among other things that oxytocin reduces pain and anxiety, decreases blood pressure and reduces the levels of stress hormones in both sexes. She also found that the speed, by which wounds and other types of physical damage heal, increases and that atrophic (thin) mucosal membranes become rejuvenated. The latter research findings form the basis for patents and clinical studies with the aim to create a pharmaceutical drug for relief of menopausal symptoms. Breaking traditional ways of thinking and creation of new ideas is a characteristic of Kerstin Uvnäs Moberg’s research. Her thoughts about biological and physiological differences between men and women and about the many different effects of oxytocin, which are expressed in many different situations in humans, have sometimes been regarded as controversial and created debate, but with time found to be correct. The vision to understand the basic role of oxytocin’s basic uniting, stress relieving and healing properties, from a physiological and psychological and even sociological point of view, has helped her to continue the pioneering research. Kerstin Uvnäs Moberg’s discoveries have e.g. helped to stimulate the development of oxytocin to become a pharmaceutical drug, to be used to increase social competence in autistic individuals, to decrease anxiety, stress and depression and to increase wellbeing. Kerstin Uvnäs Moberg was also one of the first to study the role of oxytocin in response to closeness and touch as well as its role during interaction between parents and children and other types of relationships including that between humans and animals. 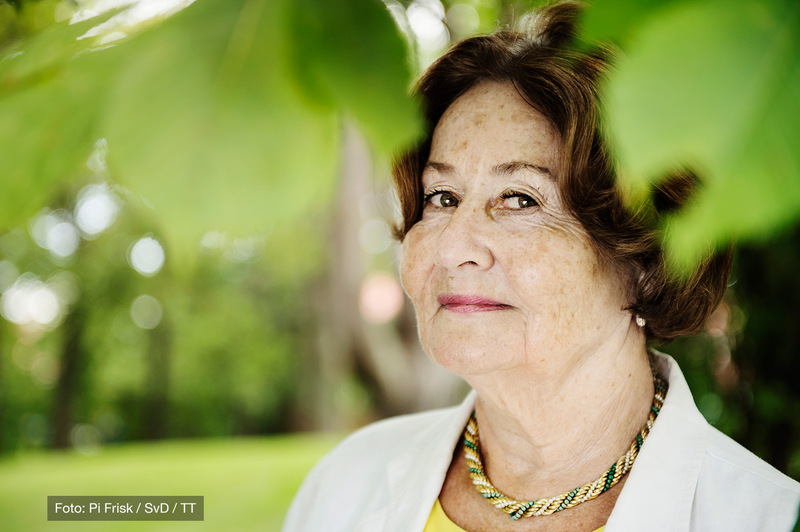 Today Kerstin Uvnäs Moberg, who has written more than 400 scientific articles and several books on oxytocin, (which have been translated into 10 languages), is still publishing scientific articles and is involved in new book projects. She is frequently invited to give talks and lectures at meetings all over the world. In addition to participating in the development of oxytocin into a pharmaceutical drug for treatment of menopausal symptoms, she is also active in many international networks with the aim to increase the knowledge about women’s physiology and health, e.g. the role of oxytocin during pregnancy, birth, breastfeeding and menopause. Read articles and watch videos where Kerstin tells us more about the positive effects of the hormone oxytocin, as well as research and development of pharmaceuticals based on oxytocin. Kerstin's CV is available for download as a PDF.